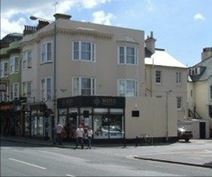 This space is located on a busy street in Hove, and has great transport links with a bus stop right outside. There is also parking which is ideal for those commuting by car. On-site, the space offers WiFi, perfect for those working on tablets and laptops, as well as administrative support and a secure entry door system. Hove has many places to eat and drink, as does Brighton, which also contains many attractions. Modern offices are available on flexible terms in a recently renovated building. 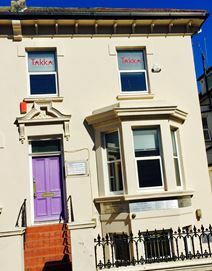 The offices can be furnished or unfurnished to suit your preference and are located just a short walk from Hove railway station and seafront. This space is located in the heart of Hove, and offers great on-site amenities including meting room availability, bike storage, event space and administrative support. Air conditioning makes for a comfortable workspace, and flexibility is excellent with the 24-hour access available. Steps away lies Hove Railway Station, offering services to nearby Brighton and Southampton, and local buses operate in the area. Desk space is available in an open plan studio on flexible terms. Office furniture is provided and there is access to kitchen facilities and meeting rooms. The space is ideal for start-up businesses and freelancers, and is situated in a good location close to Hove seafront and the centre of Brighton. Instant access is available to several units catering for a variety of purposes. Benefits include flexible terms, ample parking and a facilities management team based on-site. Located on the outskirts of Hove, it is close to the A27 with easy access to London, Gatwick and the South. Transport links are good and are available in the form of Portslade Railway Station and buses serving the local area. This centre offers self-contained flexible office spaces on flexible terms to suit your business, available immediately. This address is ideally located, close to the A27 and A23. Gatwick airport is just half an hour away by car, and there are many local amenities nearby. 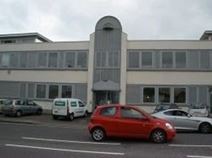 This centre is based in Hove, benefiting from fantastic transport links and great on-site amenities. The offices are spacious, bright and airy, providing an excellent working environment. The space comes non-branded and is accessible 24-hours a day, perfect for those who want flexibility in their working hours. Hove railway station is a twelve-minute walk and the area is well-served by bus routes. A modern business space, the space offers super-fast fibre WiFi, break-out areas including quiet zones, networking and social events, quality furnished offices and office cleaning. Within walking distance of the centre, there are cafes, restaurants and bars, as well as the main railway station of Hove which offers services to London Victoria, Brighton and Southampton Central, amongst other destinations. Refurbished to a very high standard, and incorporating stylish fittings, this centre provides comfortable and elegant office accommodation in an award-winning building. 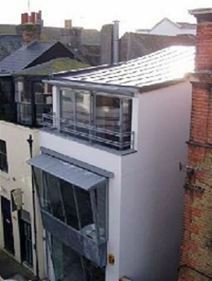 The centre is situated in a lively area of Brighton, which is well known for its shops and cafés.